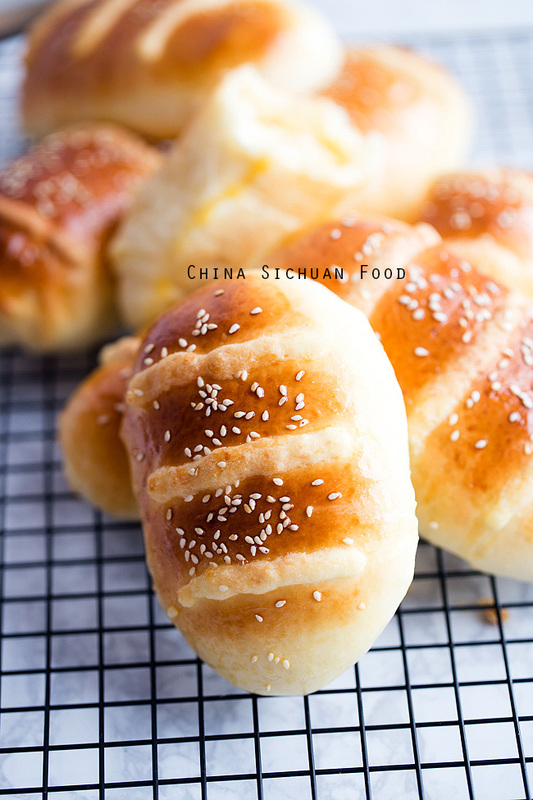 How to to make super soft Chinese bakery buns with creamy coconut filling. 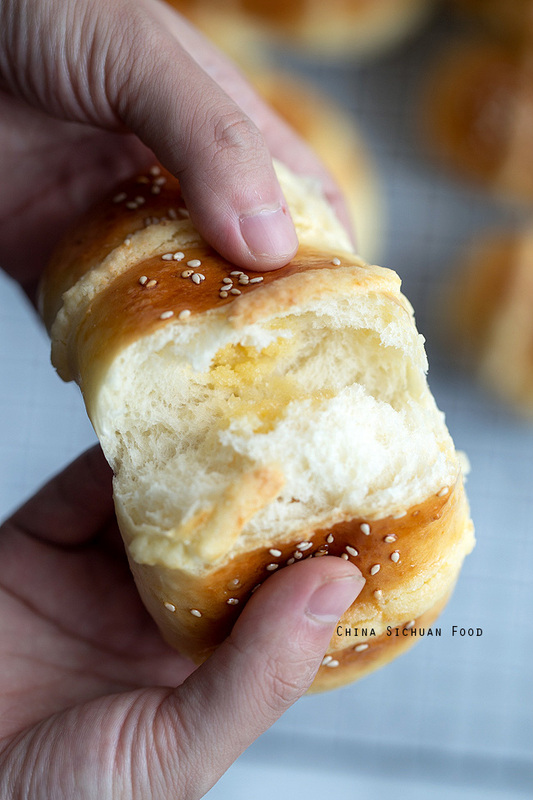 Coconut buns (cocktail buns) are those popular ones in Hong Kong bakery. We love sweet and soft buns. It is said that the coconut was bread crumbs initially when we were are lack of food. 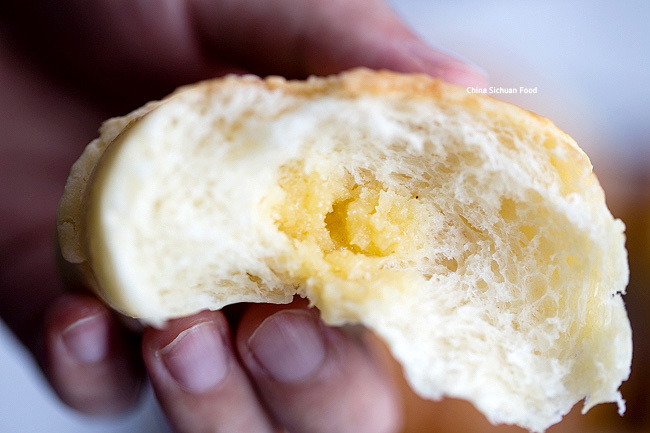 Then the bakers use coconut to replace bread crumbs and create this yummy coconut buns.Desiccated coconut has been widely used in Chinese bakery as a filling or topping for sweet dessert and buns. This sticky rice balls with desiccated coconut (nuomici) is one of the most popular desserts in dessert stores. 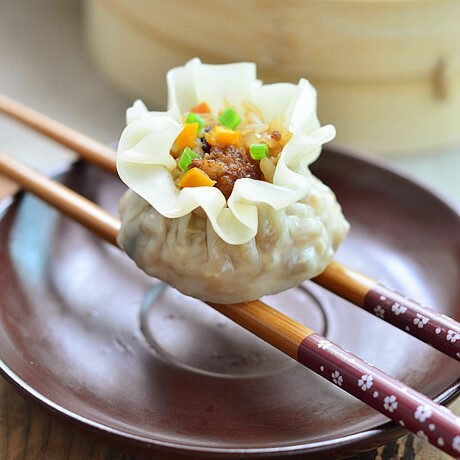 Theoretically, you can use any soft asian bun dough recipes ( for example TangZhong) to make a basic dough. I am using the recipe from milk bread with very basic home baking ingredients. 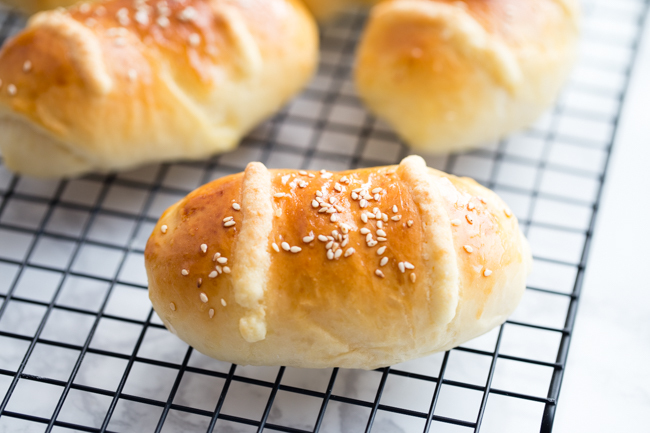 Firstly make a basic bun dough according to milk bread: in a bowl of stand mixer, add all the ingredients expect butter, stir with hook for 5-7 minutes and then add butter and continue kneading for 10 minutes until you get a elastic, smooth and soft dough. Then covered and set aside until doubled in size. 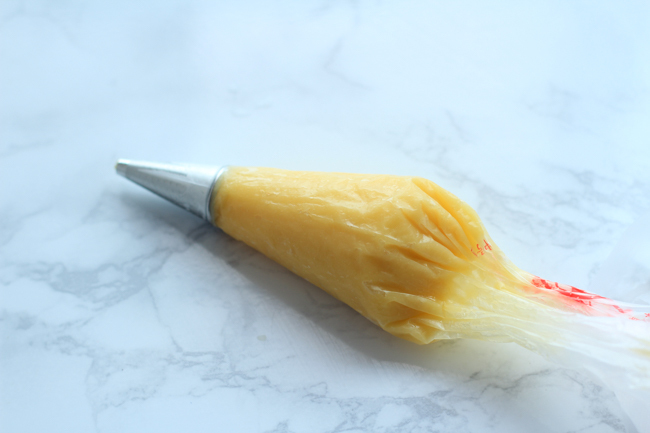 Mix whisked egg with butter and then stir in sugar and coconut. Mix well and set aside. 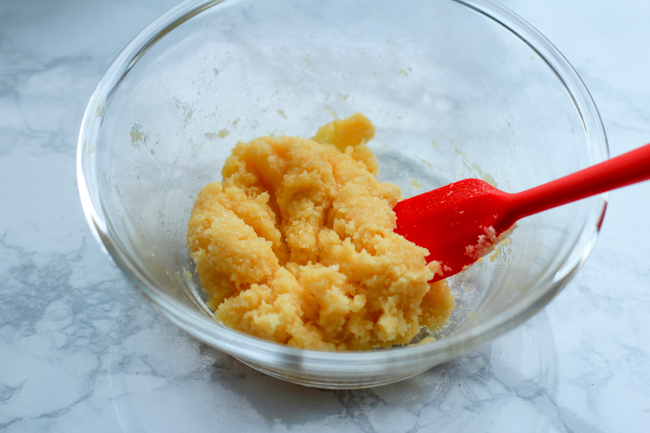 Mix all the ingredients together and then transfer to icing bag. 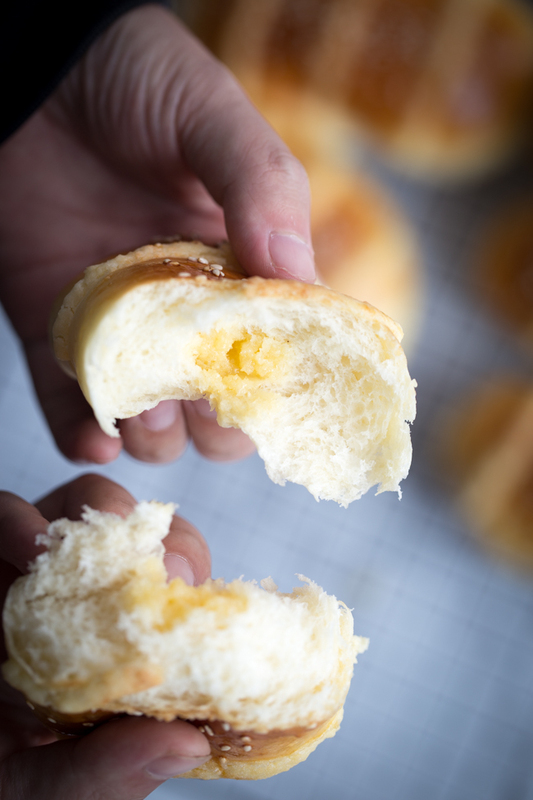 How to assemble coconut buns-two ways. 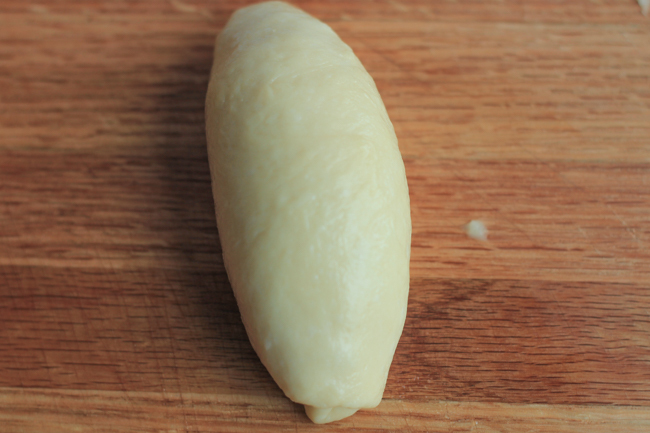 Method 1: flatten one piece of dough with your hands into a oval shape, about 4 inches long and 3 inches wide.Then spread the filling in the middle. Roll up one side to cover the another side (like a small tube). Turn over, seal completely and slightly roll up the two ends. 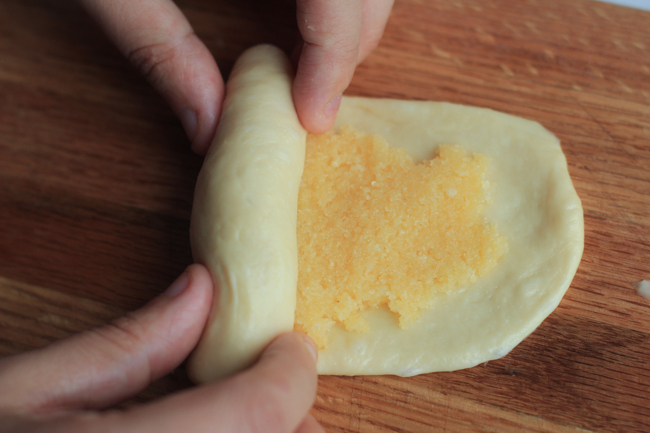 This method will form a small center filling tube within the bun. 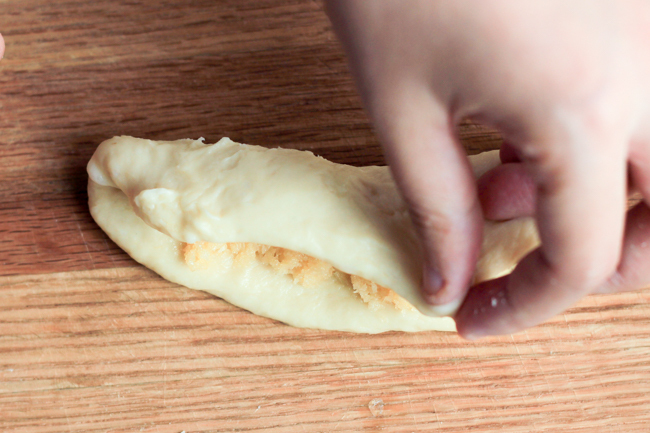 Method 2: flatten one piece of dough with your hands into a oval shape, about 4 inches long and 3 inches wide.Then spread the filling in the middle.Then roll from the bottom to top. 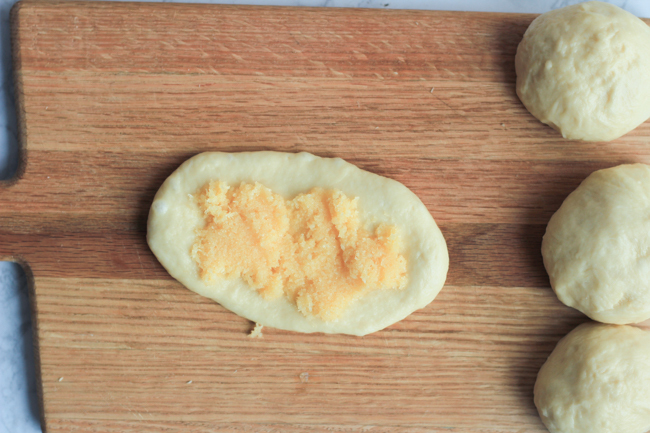 Completely seal and shape the buns. 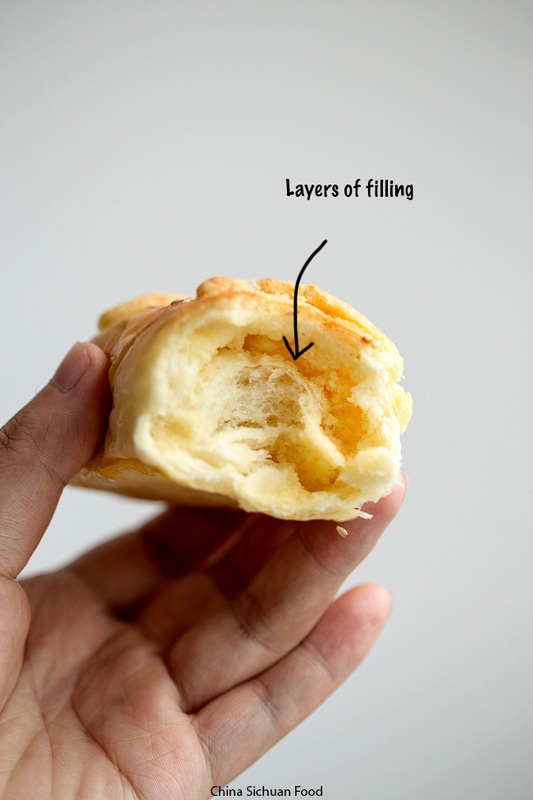 This will form layered fillings within the bun. Assemble all the buns and transfer to lined baking tray. Place in oven and set aside for the second proofing (need 40 minutes to 1 hour) until all the buns are doubled in size. Brush egg wash on surface and decorate with strips of topping (either two strips or three strips). Pre-heat oven to 170 degree C (350 degree F). 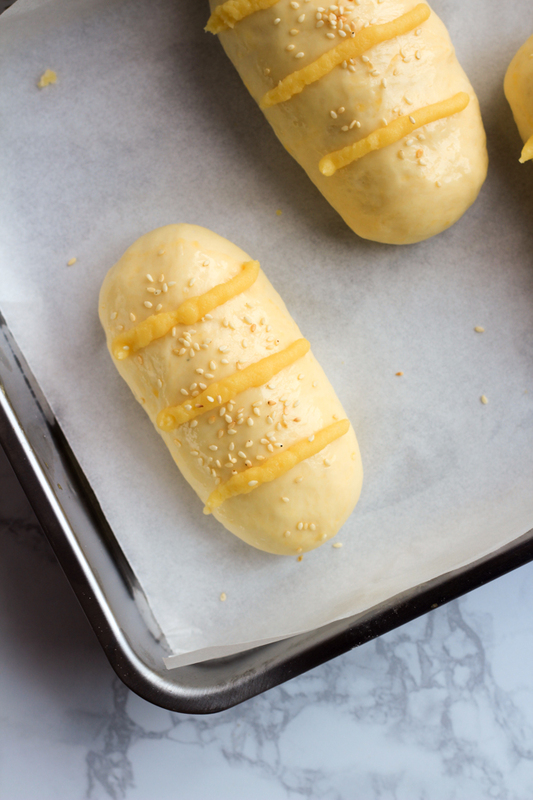 Garnish sesame seeds and bake for 15 minutes on middle track. 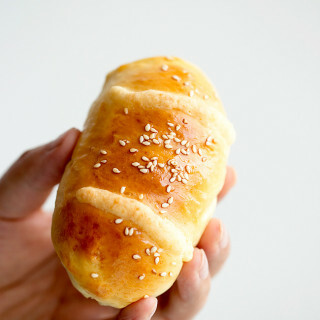 When well baked, transfer out and then brush honey wash.
Firstly make a basic bun dough according to milk bread: in a bowl of stand mixer, add all the ingredients expect butter, stir with hook for 5-7 minutes and then add butter and continue kneading for 10 minutes until you get a elastic, smooth and soft dough. Then covered and set aside until doubled in size. Then transfer out and knead for several minutes to remove the bubbles. 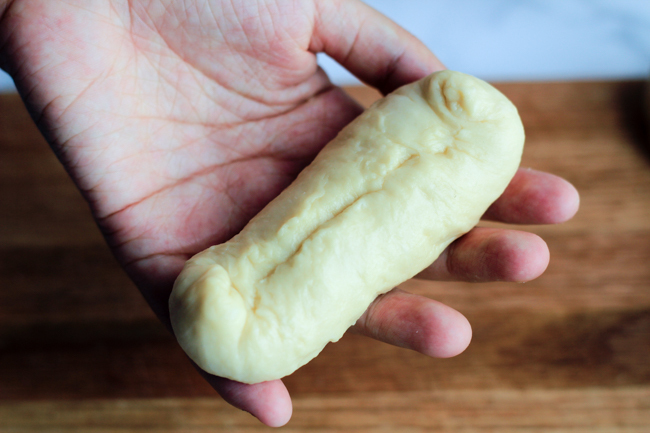 flatten one piece of dough with your hands into a oval shape, about 4 inches long and 3 inches wide.Then spread the filling in the middle. Roll up one side to cover the another side (like a small tube). 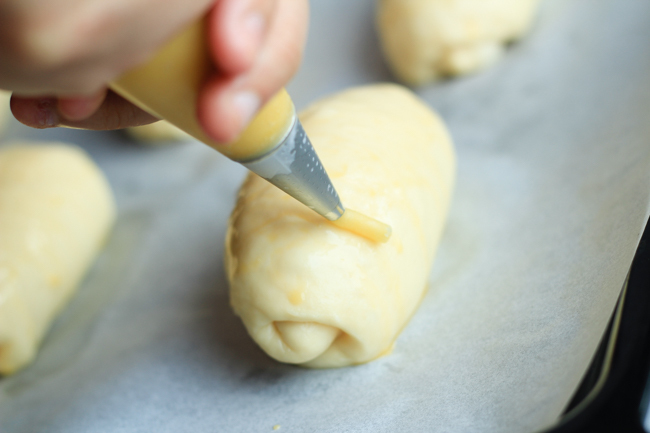 flatten one piece of dough with your hands into a oval shape, about 4 inches long and 3 inches wide.Then spread the filling in the middle.Then roll from the bottom to top. 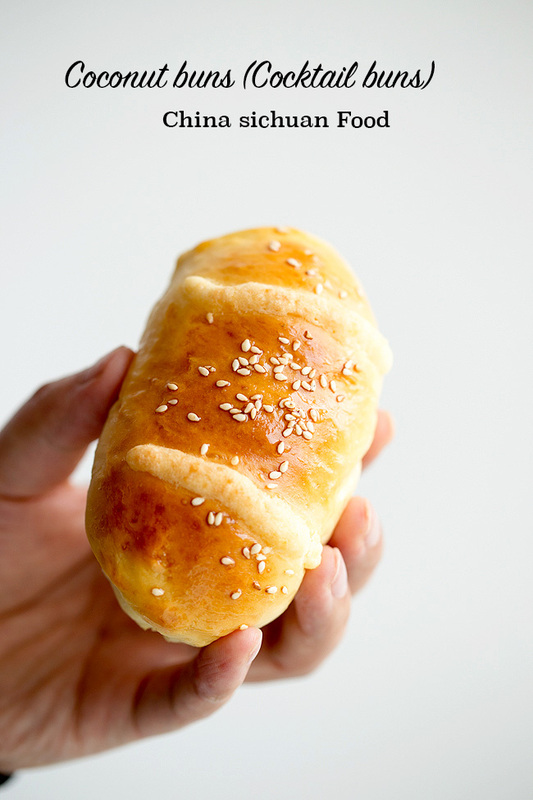 Garnish sesame seeds and bake for 15 minutes on middle track until well colored. 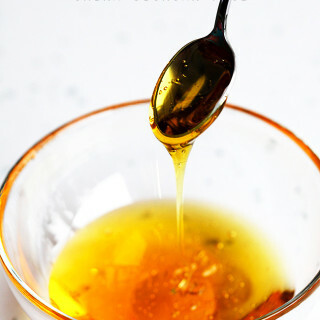 Then transfer out and brush honey wash.
Oh thank you for this recipe! It is inspiring! 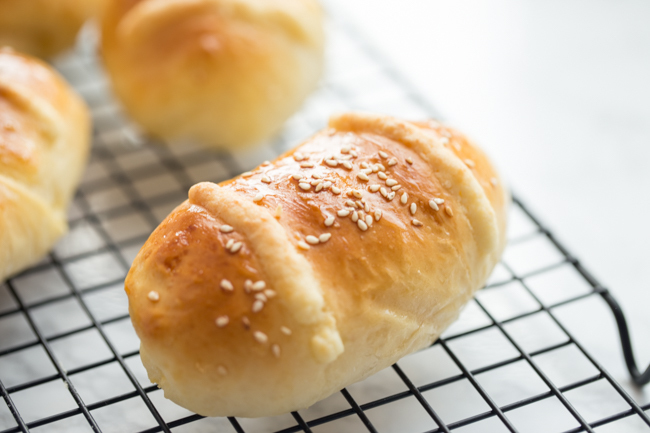 The milk bread recipe is a good basic start for many pastries. 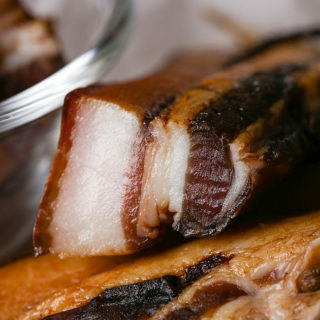 Wonder if this would be a good base for shredded pork buns and maybe lemon buns, too! Kind regards. Shredded pork is a great filling. We love to use it very much. As for lemon buns, I am not sure how to make it. Can you share it to me? Hi, do you use dry active yeast or instant yeast? I usually use instant yeast in my daily cooking. But it is ok to use dry yeast too. You just need to active them with a small amount of warm water. 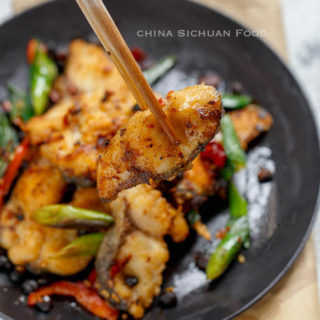 Your step by step procedure will make it easy for us to try this recipe also in our own kitchen. Good thing there are kitchen tool that will make it easier for us to do it also. 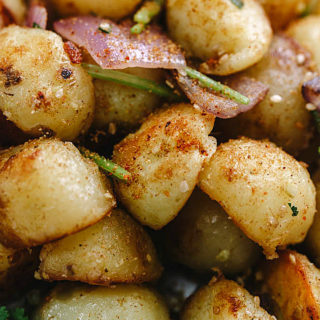 Thanks for sharing this recipe of yours. It would be a great addition to my list of snacks for the whole family. Yes, I love the stand mixer solution. Save so much time and energy. I make 9 buns out of 300g flour. I just made this with pork floss mixed with mayonnaise. The bun is super. Mayonnaise is also perfect for this buns. Good job! I just finished this recipe, and must say this is the tastiest coconut bread I have ever had. 5 stars Elaine! Thank you for your feedback. 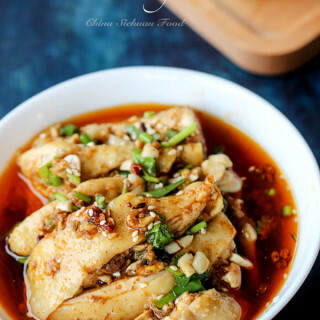 This is also my family’s common recipe as my daughter love it so much. ? Is there a substitute for the baking dry milk powder? You can directly skip it if it is hard to find in your country. 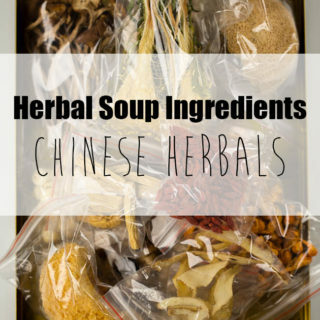 I will try to add the volume measurement in following recipes, but I really recommend weight the ingredients. 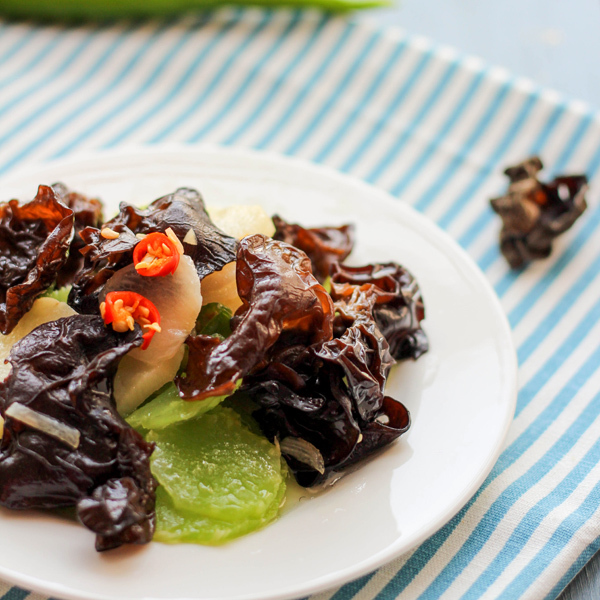 Using a kitchen scale can simplify the process and guarantee the results.